The latest package of releases from Laughing Stock Vineyards included some news about this Naramata winery which, this year, marks the 10th anniversary of its first vintage in 2003. One bit of news: the winery has added concrete eggs to its fermentation cellar. That actually happened in 2011 but, to the best of my knowledge, nothing was said about it. This is at least the fourth winery that now uses concrete eggs. Okanagan Crush Pad was the first, followed by CedarCreek and Lariana Cellars. These are egg-shaped fermenters made of concrete. The fermenters are slightly porous, like barrels, but impart no flavour. The shape of the vessels sets up a rolling motion during fermentation, adding to a wine’s exposure to the lees. Arguably, wines fermented in eggs derive a textural benefit. I say arguably because at least one winemaker – whose ability I respect – dismisses the concrete eggs. But then, he does not have one to work with either. The other bit of news from Laughing Stock is that the winery is offering its Blind Trust White 2012 on tap in a number of Vancouver restaurants. 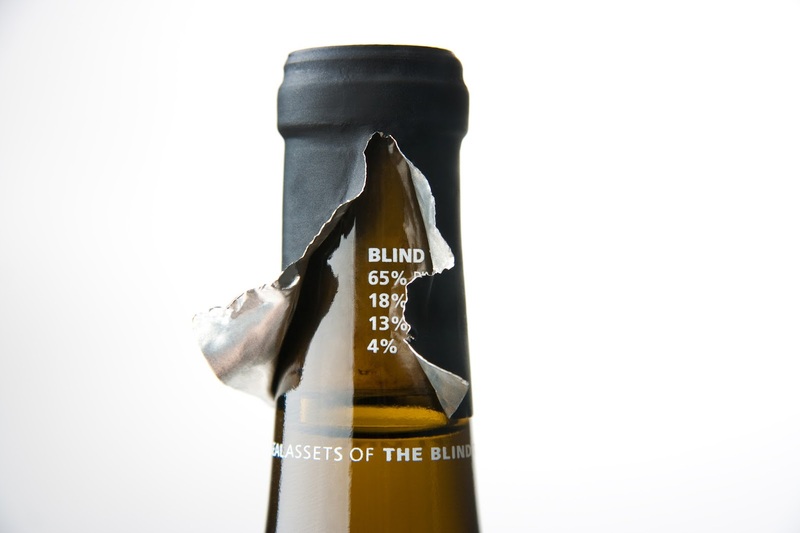 The Blind Trust wines, white and red, had been positioned as a challenge to consumers who are meant to guess the varietals in the blends each year. The actual blend composition is printed on the neck of the bottle, under the capsule. To see if you have guessed correctly, you need to peel back the capsules. Obviously, there is no capsule to look under when you order the wine by the glass. Laughing Stock owners David and Cynthia Enns have addressed that by producing a hanger that servers attach to the stem of the wine glass. When you have made your guess as to the blend, you simply flip the hanger over to find out if you are correct. Perhaps it is a bit gimmicky, but if you don’t have fun when drinking wine, you should stick with rolling up the rim at Tim Horton’s. Here are notes on four Laughing Stock releases. Laughing Stock Pinot Gris 2012 ($22 for 1,180 cases). This is a richly-textured and complex wine. Sixty percent was fermented in second fill French oak barrels, 32% in stainless steel and 8% in the concrete egg. This contributed to the rich mouth feel, along with six months of weekly lees stirring. The wine has pear and citrus aromas leading to flavours of pear, guava, baked apple and tangerine. The finish just won’t quit. 90. Laughing Stock Blind Trust 2012 ($25 for 751 cases). Let me spoil the fun by telling you this is 50% Pinot Gris, 38% Pinot Blanc and 12% Viognier. The downside of hiding this under the capsule is that the bottles are closed with corks. My sample had just enough cork taint to spoil the flavours and aromas, but not so much that it obscured totally the excellent quality of the wine. Many consumers would have finished the bottle but not with enough pleasure to buy a second. That sort of marginal corkiness is every winery’s bane. A winemaker might prefer full-on taint, so that the consumers will understand the fault is the cork, not the winemaking. A trip to my local VQA store allowed me to get a sound bottle, which was delicious. Perhaps the surprise is how dominant the Viognier is, contributing a good backbone and notes to herbs, apricot and honey to go along with the apple and melon flavours. 90. 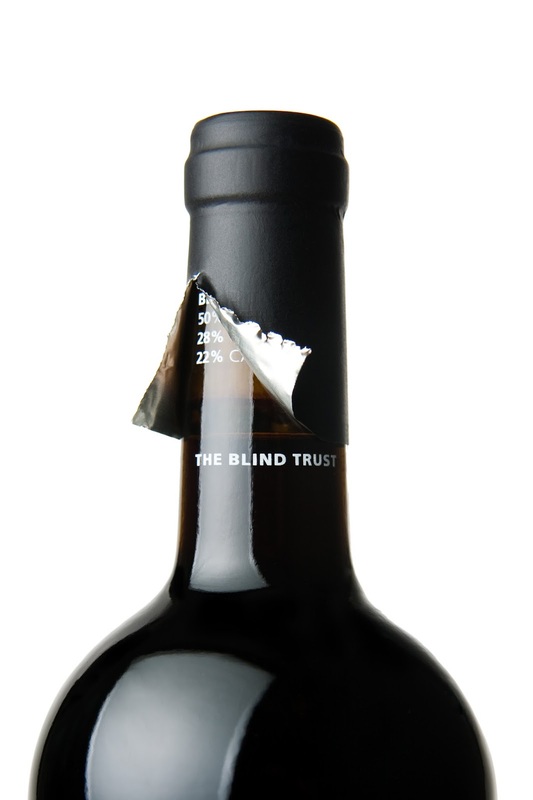 Laughing Stock Blind Trust Red 2011 ($30 for 1,460 cases). This is 47% Merlot, 31% Malbec, 12% Cabernet Sauvignon, 6% Cabernet Franc and 4% Syrah. The blend is so complex that I can’t imagine any consumer coming even close. It begins with an appealing aroma of cherry and black current with a hint of pepper. On the palate, there are flavours of cherry and cassis, along with plum, mint and again a touch of pepper on the finish. A suggestion: decant this and let the aromas and flavours open. 90. Laughing Stock Syrah 2011 ($36 for 760 cases). The cool 2011 vintage presented a real challenge in making red wines, especially Syrah. Consumers expect the variety to be full-bodied and that sort of ripeness was tough to do in 2011. But David Enns has come pretty close, leaving the grapes hang until the end of October in his Osoyoos vineyard where this varietal is grown. In the winery, he bled off some of the juice for rosé and, in the process, concentrated the wine a bit more. Then the Syrah was co-fermented with 6% Viognier and aged 16 months in French oak (40% new). The result is a wine appropriately dark in colour, with aromas of plum, black cherry, vanilla and spice. On the palate, there are flavours of blackberry, cola, coffee and leather with a hint of pepper. 91.